My kids love the book Chicka Chicka Boom Boom and they LOVE singing the Chicka Chicka Boom Boom song to it! Today I put together a super quick and easy tree on the side of our fridge for them to use when we read and sing it. 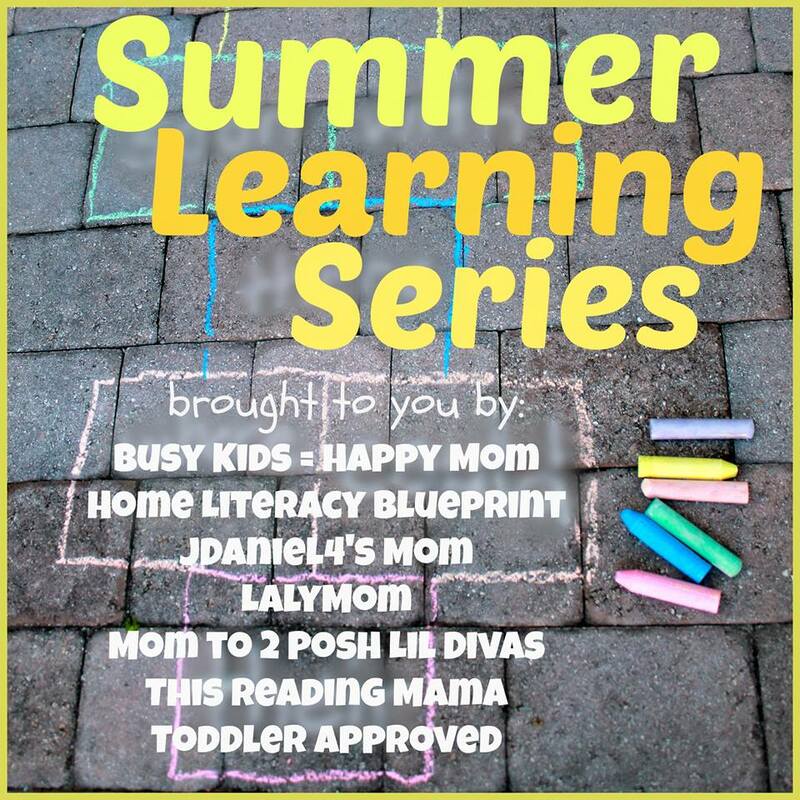 It's a simple activity that you can do at home to work on letter learning, rhythm, fine motor skills…and fun! Want to see just how simple this was? Here you go! *Note- I left our contact paper stuck to our fridge for quite some time with no marks, adhesive or any other sign of it when it was removed. The finish of your refrigerator may be different, or your contact paper may have different adhesive. If you are concerned about the finish of your refrigerator, please test it in a conspicuous place. 1. Cut your shapes- Cut out a tall rectangle and three 3 inch circles from the wood grain contact paper. Looking at the leaves of the tree in the book, free hand cut leaves from the green contact paper. 2. Stick on your tree- Working one piece at a time, starting with the truck, then leaves, then coconuts, remove the backing and stick each piece on the fridge. 3. 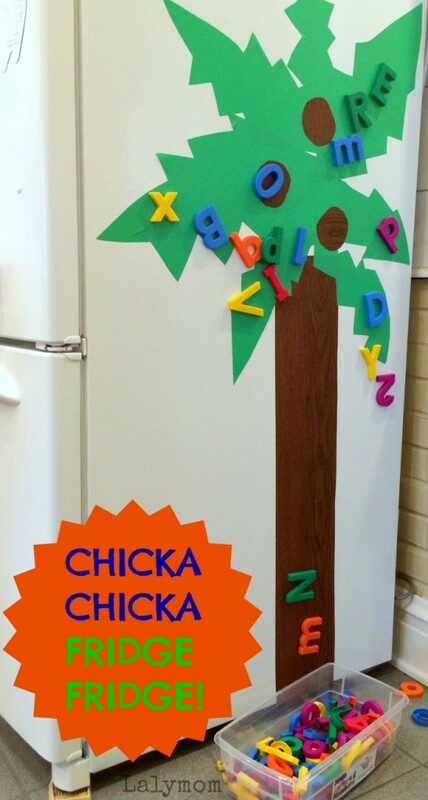 Set your magnetic letters in front of the fridge and invite the kids to play along as you read the book! See?! Told you it was super quick and easy! 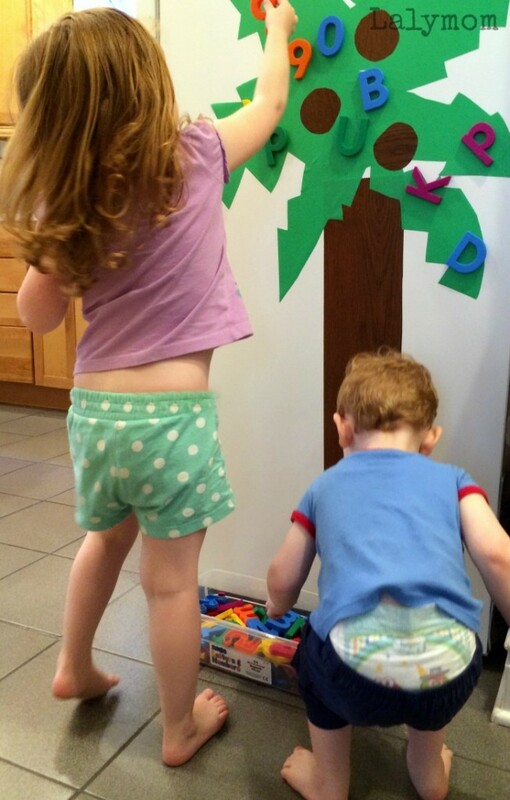 Here is an action shot of my preschooler and toddler adding letters and numbers to the coconut tree! We have a lot of letters and they are larger than most, if you want a crowded look and have smaller letters you could make yours smaller. 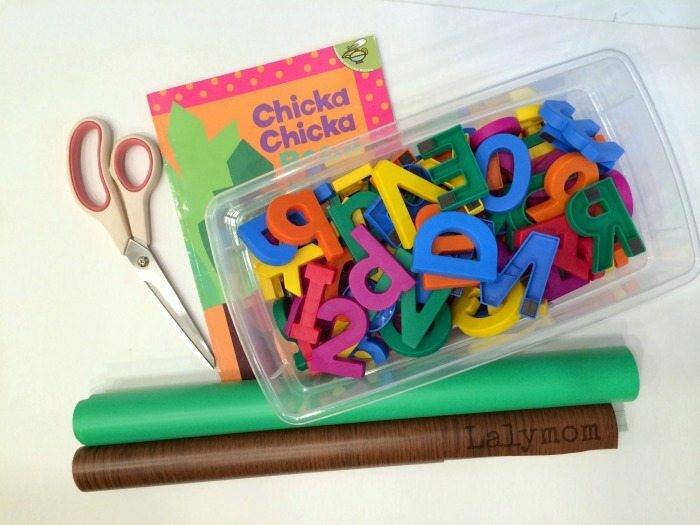 What is your favorite Chicka Chicka Boom Boom Tree Activity? I'd love to hear about it in the comments! 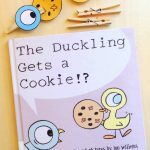 Looking for more book activities for kids? 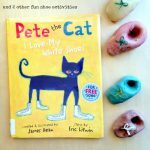 Check out these posts and my Kids Book Activities Pinterest Board! 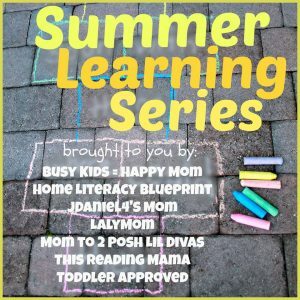 Check out these other super fun ways to keep your kids learning over the summer and tune in for Week Two- Learning on the Go and Week Three- Learning While on Vacation! I love the wood grain contact paper! What a great idea!!! I am a retired kindergarten teacher and I now babysit 2 of my grandkids. I introduced Chicka Chicka to my grandson last fall. He will love this!!! Love this! It should be in all kindergarten and preschool classrooms. Very clever! Had no idea they made contact paper in different colors & such! What a FUN hands-on activity! !